Dr. Pamela Williamson, current President & CEO, at the Women’s Business Enterprise Council West (WBEC-West), has been selected to receive this year's Positively Powerful Woman Visionary Leadership Award, on May 17th 2018, at the Desert Botanical Garden in Phoenix, Arizona. For women-owned businesses in Corporate America, she sees a promising future and takes an active role controlling and operating WBEC-West where she is involved first-hand in facilitating connections and matches between corporations and women business enterprises. 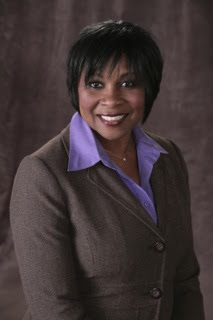 She holds a Doctorate in Healthcare Administration, a Master's degrees in Business Administration, and bachelor degrees in both Sociology and Social Work and psychology. The 11th Annual Positively Powerful Woman Awards Celebration is an inspirational, unique, and award-winning celebration of diverse women business leaders framed by Dr. Joel Martin, President of Triad West Inc. The gala will begin with the VIP Reception at 5:30 p.m. followed by the Awards Presentation Dinner from 6:00 p.m. to 9:00 p.m. They are dedicated to acknowledging women leaders in ways that empower all people to live their dreams. Triad West Inc. is a WBENC Certified Corporation.